Zebor Technology Stockholm AB has changed name to Bionomit Public AB, but keeps Zebor Technology Stockholm AB as an auxiliary business name. A new web-site launch under our new name are planned during 2019, where we will inform about new projects. Until then you have to settle with our current site. 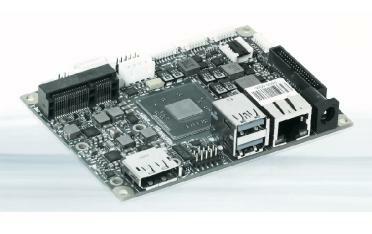 Zebor Technology has developed a very fast real-time operating system for x86 processors. Zebor Technology has further developed the world's fastest generic start-up BIOS for Intel Atom processors that boots a verity of operating systems. Zebor Technology has also developed fast USB communication and lightweight mp3 software. Thanks to our fast and efficient software one can utilize simpler, cheaper, hardware with retained performance. Simpler hardware requires less of precious materials such as rare earth minerals. Our software has also been sold by Winzent Technologies under their own branding. BIONOMIT PUBLIC also have positions in Climacheck Sweden that develops advanced IT-systems for optimization and monitoring of industrial cooling and heating installations, further position in Bambuser a high-quality live video streaming IT-service, further a position in Colabitoil a high-tech company with a patented method for production of HVO100 bio-diesel and lastly a position in DDoS Solutions a IT company that develops hardware and software for protection against ddos attacks. Finally, BIONOMIT PUBLIC have also given an underwriting commitment to Solarus Sunpower Crowd.